Appleseed focuses on broad systemic social initiatives rather than on the traditional provision of legal services to individuals. This vision grew out of the idea that the best way to achieve big results is to work for the kind of change that levels the playing field and transforms entire communities at a time. Massachusetts Appleseed identifies and addresses issues particular to our community at large and then connects with private practice lawyers, corporate counsel, law schools, civic leaders, and other professionals to tackle these difficult social problems at their root causes. A 2014 study by the Boston Bar Association found that civil legal aid service providers turn away 64% of income-eligible cases, for lack of funds. That means that over 30,000 low-income residents in Massachusetts, facing eviction, domestic violence, and other crises, faced them alone. The BBA Report made special note of family law cases, which are turned away 80% of the time. Is technology a big part of the solution for this tremendous need? Massachusetts Appleseed thinks so, and is embarking on a new direction for our organization to look at the models by which low-income people are provided legal services and how technology can make a real difference in access to justice. We are excited to be building relationships with leaders in the access to justice and technology community. Appleseed is in a unique position to convene and collaborate with the many outstanding organizations and academic institutions in Massachusetts tackling the issue of access to justice — coordinating efforts and advocating for solutions to our local challenges is what we do! And while technological solutions will not be enough alone to solve the challenges of overburdened and underfunded civil legal aid and court systems, we believe that innovative technology approaches will allow for real expansion of services over time, without increasing costs. The Cell Phone Project: There are currently 56 Trial Court facilities across the state with active cell phone bans. This project is aimed at understanding why these bans were initially put into place, their impact, and possible solutions. Our preliminary research has already shown that these bans are extremely burdensome to unrepresented litigants and have a harmful effect on access to justice in Massachusetts. Cell phone bans can present a variety of serious practical and access to justice problems for unrepresented litigants. Litigants with evidence stored on their phone cannot access it, or any legal aid materials available online. Individuals with a language barrier cannot use a translation service. Parents won’t be able to coordinate with childcare; no one can get in touch with their employer. Too often, litigants are unaware a cell phone ban exists until they arrive at the courthouse, often by means of public transportation, leaving them with no safe space to store them. Many hide their phones in bushes and other areas around the courthouse so as not to miss their session. Some rely on vendors near courthouses that will store cell phones for a fee, but others cannot afford these fees or are forced to use money they had planned to use for public transit fare home. And even more litigants simply turn around and go home. Click here to read our completed report on this issue, Cell Phones in the Courthouse: An Access to Justice Perspective. To learn how cell phone bans impacted Erin, a self-represented litigant facing a possible eviction, check out Law360’s article here. To read The Boston Globe’s column on this issue, click here. LawHelp Interactive Evaluation: Massachusetts Appleseed was selected from a competitive pool of applicants to conduct the 2017 annual evaluation of LawHelp Interactive. A project of Pro Bono Net, LawHelp Interactive is a national platform that creates court forms and documents online that are used by legal aid advocates, pro bono lawyers, court staff, and individuals representing themselves. This project officially launches Massachusetts Appleseed onto the national stage as a skilled research outfit, an important access to justice player, and experts in the nexus between technology, legal system, and a user-centric approach. Beyond recognition and exposure, the LHI evaluation offers us a chance to make a substantive contribution to access to justice efforts that stands to benefit litigants, courts, and advocates not only in Massachusetts but across the country. By asking the right questions and applying rigorous research methods, Appleseed’s evaluation will help LHI assess its progress toward its institutional objectives and create a model for assessment to be used by the organization for many years to come. Court Service Centers: In 2014, Massachusetts opened its first Court Service Centers as part of an effort to build a bridge between the Court and self-represented litigants. Court Service Centers are locations within state courthouse where self-represented litigants can more easily obtain access to informational resources, forms and other assistance that facilitates their experience with the courts. At present, there are six centers in operation in courthouses in Boston, Greenfield, Springfield, Worcester, Lawrence, and Brockton. The Massachusetts Appleseed Center is partnering with Court leaders, staff and other members of the justice community to expand access to justice by creating a ‘virtual’ Court Service Center. Our research role will involve analyzing data, interviewing stakeholders, and studying policies and procedures used in comparable settings to make recommendations about the content and design of an ideal virtual CSC for Massachusetts. Through this ambitious initiative, Massachusetts Appleseed will contribute to a significant shift in the way Massachusetts residents are able to access justice, one which is not based only on location, and one which takes advantage of readily available technology. Language Access: An estimated 22% of the population in Massachusetts speaks a language other than English at home. 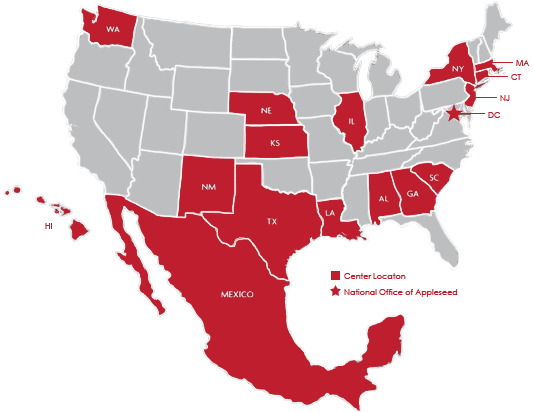 State and Federal law prohibit discrimination on the basis of national origin and the United States Supreme Court has held that language access is a proxy for national origin and that national origin discrimination includes failing to provide Limited English Proficient (LEP) individuals “meaningful access” to recipient programs. Thus, an individual who has a limited ability to read, write, speak, and understand English and is engaging with a state agency has the right to: (1) use public programs and communicate in their preferred language; (2) receive vital written materials in their preferred language; and (3) be provided with language interpreter services that are free and adequate. Massachusetts Appleseed is planning to begin a research project later this year examining the extent to which certain state agencies in Massachusetts are fulfilling their legal obligation to provide “meaningful access” to LEP individuals and to identify any gaps that may exist and recommend and advocate for improvements where necessary. Our signature project positions Massachusetts Appleseed at the forefront of understanding the intersection of school discipline practices, zero tolerance, and youth entering the juvenile justice system. We seek to mitigate effects of zero tolerance, remove barriers to access to public education, and support at-risk youth to keep kids in class where they are safe, supported, and available for learning. In fact, each year, some 32,000 students are excluded from school. Preschoolers as young as four years old, and sixth- and ninth-graders making the transition to middle and high school, are especially at risk. Excluded students are likely to be male, poor, or receiving special education; a disproportionate number are Latino or African-American. Once excluded, a majority of these children—our children—drop out, end up in “the system,” or serve time. School Discipline and Student Arrests: Massachusetts Appleseed is an active member of the Coalition for Smart Responses to Student Behavior and, as part of that coalition, advocated throughout the 2017/2018 legislative session in support of legislation H.328/S.876 to decriminalize non-violent student misconduct in schools, clarify the role of school resource officers in schools, and outline data collection methods and responsibilities. In April 2018, the Massachusetts Legislature passed Chapter 69 of the Acts of 2018 An Act relative to criminal justice reform, which included provisions similar to those in H.328 and S.876. Arrests of students for non-violent behavior disproportionately affect students of color and students with disabilities, even those as young as four years old, and there was no check on this practice or accountability prior to the passage of Chapter 69. The impact of arresting a student is substantial – indeed, children who are arrested are three times more likely to drop out of school. Chapter 69 includes common-sense reforms that will prevent unnecessary arrests and ensure school resource officers are trained in child development, de-escalation techniques, and implicit bias. We will continue to push to ensure these provisions in Chapter 69 are implemented by schools around the state to keep kids safe and in class. School Discipline and Dropout Prevention Law: In August 2012, the Massachusetts Legislature passed Chapter 222 of the Acts of 2012 An Act relative to student access to educational services and exclusion from school. This new law strives to keep children in school by curbing the use of school exclusions. The law enacts several key recommendations from Massachusetts Appleseed’s school discipline report, which aim to decrease school exclusions and foster genuine educational opportunity for all children. In particular, the law requires school districts to collect and report data on school suspensions and expulsions, establishes additional notice and hearing provisions prior to suspension or expulsion, and promotes continued academic progress by creating alternative education programs. Massachusetts Appleseed continues to advocate for robust implementation of the new law. School Discipline Reports: In 2012, after meeting with experts who work in public schools and examining data from the Massachusetts Department of Elementary and Secondary Education, Massachusetts Appleseed published “Keep Kids in Class: New Approaches to School Discipline.” Many of the recommendations from the report made their way into the new school discipline law (Chapter 222) adopted later that year. In 2016, we published a follow-up report analyzing the school discipline data from the first year of Chapter 222 implementation. The report, entitled “School Discipline in Massachusetts: How are We Doing?” acknowledges the significant progress made under the new law while highlighting the persistently disproportionate discipline rates for students of color and students with disabilities. Juvenile Judge Survey: Massachusetts Appleseed surveyed and interviewed juvenile court judges to gain insight into the relationship between school discipline practices, zero-tolerance policies, and youth entering the juvenile justice system through school-based referrals. The results and key themes are summarized in this issue brief. The judges’ insights and opinions have been formative to Massachusetts Appleseed’s “Keep Kids in Class” project, and continue to inform our policy work in this area. Unaccompanied homeless youth are youth who are not in the care of a parent or guardian and who lack safe, stable housing. Their numbers are growing and their needs go largely unmet. Youth experiencing homelessness must be able to access legal help and information to overcome the unique barriers they face. As a group that frequently lacks the traditional support systems of their housed peers, homeless youth must often confront difficult legal situations alone and with little guidance. At Massachusetts Appleseed, we’re working to create a Homeless Youth Handbook – a know-your-rights, plain-language guide for youth experiencing homelessness. Partnering with the global law firm Baker & McKenzie LLP, several of our community partners, and homeless youth themselves, this will be a Massachusetts-specific resource that will help homeless youth navigate the complicated systems that govern their lives. It will cover a vast range of topics, from the right to education, resources for LGBTQ youth, interacting with police and immigration officials, and more, providing actionable steps youth experiencing homelessness can take to move forward. The Homeless Youth Handbook will be designed for homeless youth, to provide them with information, empower them to fully access their legal rights, and take action. This project will expand access to justice to one of the most vulnerable populations in Massachusetts and we believe is a critical step to ending youth homelessness in the state. Many other states, including Texas, Minnesota, New York, and, most recently, Washington D.C., have published similar resources. To view the Homeless Youth Handbooks already available, please visit www.homelessyouth.org. Massachusetts Appleseed also advocates for state legislation to fund programs which provide a continuum of housing and support services for unaccompanied homeless youth. Appropriate housing and support services are critical because they serve as a platform from which unaccompanied homeless youth can stabilize and improve their education and health outcomes. Massachusetts Appleseed co-wrote a policy brief entitled, “Unaccompanied, Unidentified and Uncounted: Developing Strategies to Meet the Needs of America’s Homeless Youth,” which examines their plight. The brief suggests recommendations meant to spur advocacy, further research and ultimately meaningful improvement to the lives of these children. The brief forms the basis of Massachusetts Appleseed’s youth homelessness policy agenda, much of which we have achieved through our work on the Special Commission on Unaccompanied Youth. Massachusetts Appleseed is an active member of the Special Commission on Unaccompanied Homeless Youth which was signed into law on July 8, 2012 as Outside Section 208 of the FY2013 Budget. The Special Commission identifies and addresses the many issues and barriers affecting unaccompanied homeless youth and recommends positive policy changes and appropriate interventions. The Special Commission is tasked with examining many of the issues raised in Massachusetts Appleseed’s policy brief, such as barriers related to mandated reporting requirements and the inability to count this mobile and invisible population of youth. The Commission reported its preliminary findings and initial recommendations in June 2013. The Commission adopted a broad and inclusive definition of unaccompanied youth homelessness. On January 6, 2015, the definition was enacted into law. Click here to download the Commission’s initial report. We partnered with the Massachusetts Law Reform Institute, PAIR, KIND and other organizations to create a “Family Preparedness Packet” for immigrants and others who might need to make arrangements for their children in case they are suddenly unable to care for them themselves. This packet includes information about how families can protect their assets and determine who will care for their children in emergency situations such as a medical crisis or the need to leave the country. A 2011 report by Race Forward: The Center for Racial Justice Innovation found that more than 5,000 children were placed in foster care after their parents were deported, often with parental rights terminated. It is imperative that families are given the resources they need to plan for these possibilities and ensure they are the ones making decisions about the care of their children. 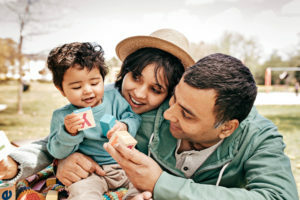 The Family Preparedness Packet decodes legalese, clarifies these complicated processes, and defines important vocabulary to empower families in vulnerable situations. Check back soon for translated versions of this packet and be sure to visit our social media channels frequently for details about upcoming info sessions! National Appleseed has updated its 2012 manual, “Protecting Assets and Child Custody in the Face of Deportation.” Check out the updated manual, in both English and Spanish, and the included checklists covering a variety of topics, in our resources section on the right. This is a critical resource for immigrants and their allies that helps families fully prepare for financial and family issues in the event of deportation, arrest, and other emergencies. We encourage anyone passionate about immigration rights to check it out! 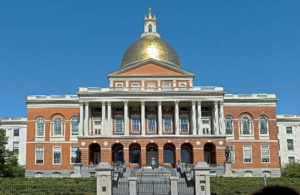 On February 28, the Board of Directors of Massachusetts Appleseed Center for Law and Justice voted to include the following pieces of state legislation as part of MA Appleseed’s 2019-2020 Legislative Agenda. Each of these bills, which Massachusetts Appleseed supports, are directly related to Massachusetts Appleseed’s mission of developing and advocating for systemic solutions to social justice issues. Each of these bills is also directly related to our past and current projects in the areas of supporting at-risk students and their education, youth homelessness, and access to justice. Click on the links below to learn more and check back often since we expect to add more bills to our Legislative Agenda throughout this legislative session. An Act to support healthy development among preschoolers. An Act relative to the certification of interpreters in educational settings. An Act regarding breakfast after the bell. An Act to ensure equal access to education, including special education services, for all students in Massachusetts. An Act providing rightful opportunities and meaningful investment of successful and equitable education. An Act to promote student nutrition. Last year, we submitted written testimony in support of this bill. Unfortunately, it was referred to study. For more information about school meal debt in Massachusetts, check out Massachusetts Law Reform Institute’s study here. To learn about how New Mexico Appleseed Center for Law and Justice ended lunch shaming statewide, click here! An Act to provide identification to homeless youth and families. Last year, we submitted written testimony in support of this bill. Each year, the Massachusetts state legislature passes a state budget that provides funding for various state programs, agencies and departments for the following year. The budget process begins in January, when the Governor files his budget recommendations. In April and May the Massachusetts House of Representatives and Senate each pass their own separate budget proposals and in June, a Conference Committee made up of three Senators and three Representatives, is appointed to iron out the differences between the House and Senate budgets. A joint budget is sent to the Governor by July 1st and the Governor has ten days to approve, amend or veto each line item. Check out our infographic below for further information about the state budget process. At each stage of this process, advocates, including Massachusetts Appleseed and our supporters, have opportunities to contact their elected representatives and urge them to adequately fund programs that they care about. Looking up their email and other direct contact information via www.wheredoivotema.com. Sign up to receive ACTION ALERTS from Massachusetts Appleseed with information about how you can advocate in support of funding for programs that address youth homelessness and access to education and justice. The House Committee on Ways and Means FY’19 Budget Recommendations and our response. The Senate Committee on Ways and Means FY’19 Budget Recommendations and our response. An Act decriminalizing non-violent and verbal student misconduct. Provisions substantially similar to those contained in this bill were included in Chapter 69 of the Acts of 2018 An Act relative to criminal justice reform! An Act relative to the geographical jurisdiction of the Housing Court Department. This measure was included as part of the final FY’18 state budget! In response to an emerging homeless population among college students, Massachusetts Appleseed has partnered with the Office of Urban and Off-Campus Support Services (U-ACCESS) at the University of Massachusetts Boston to establish the “Massachusetts Homeless Post-Secondary Students Network”. The Network engages a cross section of diverse stakeholders, including colleges, high schools, state agencies, service providers, policy advocates, and community members, who all share a common purpose to support youth in access to public education. Together, these stakeholders work to identify systemic barriers, advocate for policy changes, and develop programs and best practices to facilitate meaningful access to higher education for youth at risk of homelessness, youth subject to chronic poverty, and youth experiencing homelessness. The Network’s signature accomplishment to date is the establishment of Single Points of Contact (SPOC’s) at 16 colleges and universities in Massachusetts. SPOC’s assist homeless youth during matriculation and throughout their post-secondary career, helping them access a broad range of services both on and off campus. MA Appleseed continues to advocate for official SPOC policies at both institutional and state levels. Click here for the SPOC directory. MA Appleseed is at the forefront of ensuring proper implementation of the McKinney-Vento Homeless Assistance Act. McKinney-Vento is a federal law that entitles children who are homeless to a public education, regardless of where they reside. The law requires schools to remove any barriers to their enrollment, attendance, and success in school. MA Appleseed has worked successfully with the Massachusetts Department of Elementary and Secondary Education (DESE) to address implementation issues, including educating parents and school system leaders about the federal law’s requirements. Through its role as a member of the Mass. Steering Committee on the Education of Homeless Children and Youth, MA Appleseed continues to monitor the issue. MA Appleseed’s attention to and expertise in this area is particularly important in light of Massachusetts’ recent anti-bullying legislation. While the new anti-bullying law is forward thinking in several important ways, it still leaves crucial concerns unaddressed and puts certain students at greater risk for punitive disciplinary action. We are at the forefront of ensuring that the Legislature, school districts, and other stakeholders know the potential pitfalls of implementing this new legislation in a highly charged political climate. Of primary concern is the potential shift of focus from bullying prevention and creating caring school communities to one of punishment and an increase in student suspensions and expulsions. Read MA Appleseed’s February 2011 testimony to the Commission to Review Statutes Relative to Implementation of the School Bullying Law. MA Appleseed, along with other community stakeholders and advocates, proposed important revisions to BPS’ Code of Conduct around its discipline provisions. In July 2010, the Boston School Committee adopted these revisions, signaling a long-hoped for shift away from a zero-tolerance attitude towards school discipline. At the same time, the School Committee created an advisory council to advise the Superintendent on the revised Code’s implementation, to review the Code annually for further improvements, and to suggest best practices to reduce BPS’s suspensions and expulsions. Comprised of parents, students, advocates, and community partners, the Advisory Council functions independently of and in cooperation with BPS. MA Appleseed’s participation allows us to advocate for a departure from zero tolerance altogether, for robust data collection, and for creating a community collaboration replicable in other school districts. MA Appleseed proudly contributed and participated in the Behavioral Health and Public Schools Task Force. This task force was established under Section 19 of Chapter 321 of the Acts of 2008: An Act Relative to Children’s Mental Health. The task force created a framework that will serve as a guide for public schools to implement policies and protocols promoting school-wide behavioral health access and awareness in the hopes of reducing exclusions and keeping kids in class. 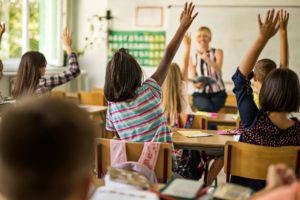 Towards that end, the task force developed a behavioral health services self-assessment tool for public schools in order to gauge their capacity for implementing behavioral health protocols and policies. MA Appleseed successfully advocated to include questions assessing discipline issues and mitigation of zero tolerance policies. We also drafted a new section devoted to accurate and comprehensive collection of discipline data. Nearly all of our recommendations were included in the final draft, which you can read here. MA Appleseed was instrumental in initiating “An Act Relative to Caregiver Medical and Educational Consent” which was signed into law by Governor Patrick on January 14, 2009. The legislation allows parents to authorize a caregiver—for example, a relative or other person providing full-time care of a child—to consent to medical treatment and to educational decisions on behalf of the child. Many people in Massachusetts provide primary care for children who are not their own, including grandparents, aunts, uncles, and adult siblings. In many of these arrangements, the caregivers do not have legal custody or guardianship. As a result, they often face barriers to obtaining educational and medical services for the children in their care. The Act does not divest parents of any rights, but gives caregivers concurrent authority with the parents. Read “Kinship Care Reform: A Proposal for Consent Legislation in Massachusetts” by Laura Weinrib (Project Coordinator for the Massachusetts Appleseed Center for Law and Justice in 2001). MA Appleseed studied how funds are distributed to the trial courts and what types of cases require more resources than others. In addition, MA Appleseed has worked with the Citizens Coalition for an Independent Judiciary to implement the recommendations of the Monan Commission, established by the Massachusetts Supreme Judicial Court to study the administrative changes needed to ensure that all Massachusetts residents have equal access to the courts. To date, the Coalition has supported legislation granting the SJC increased authority over the trial courts. Read Staffing the Massachusetts Trial Courts: Recommendations From The Massachusetts Appleseed Center For Law And Justice. Former MA Appleseed Executive Director Alan Jay Rom represented 19 families from school districts across Massachusetts who claimed the state was not meeting its duty to provide an education to all children, regardless of their relative wealth. 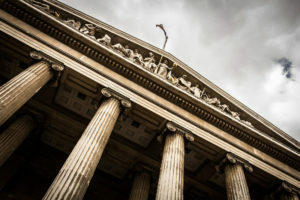 While the Supreme Judicial Court ultimately ruled that the state had not breached this duty, the Court recognized that many districts were underfunded and underperforming as a consequence. The Court thus officially acknowledged the educational disparities in the Commonwealth. Together with the Suffolk County Juvenile Court, Mass Mentoring Partnership, and Massachusetts Big Brother Association, MA Appleseed recruited mentors from the legal world for children and youth in need of positive adult role models. MA Appleseed teamed with the Volunteer Lawyers Project and the Boston Bar Association to create a program where lawyers could offer pro bono counseling to unrepresented debtors in bankruptcy proceedings. With this program, MA Appleseed sought to enable pro se debtors to make informed decisions about “reaffirmation,” which is a voluntary agreement by a debtor to pay off a creditor even though the debt could be dischargeable in a bankruptcy proceeding. The program was a great success and is now run by the Volunteer Lawyers Project. Many immigrants in the greater Boston metropolitan area depend upon money-lenders to cash their paychecks—usually for high fees—because they do not have bank accounts. As a result of a study which focused on the Brazilian, Haitian, and Dominican communities, MA Appleseed recommended changes in banking regulations that would make traditional financial institutions more accessible to the immigrant community.